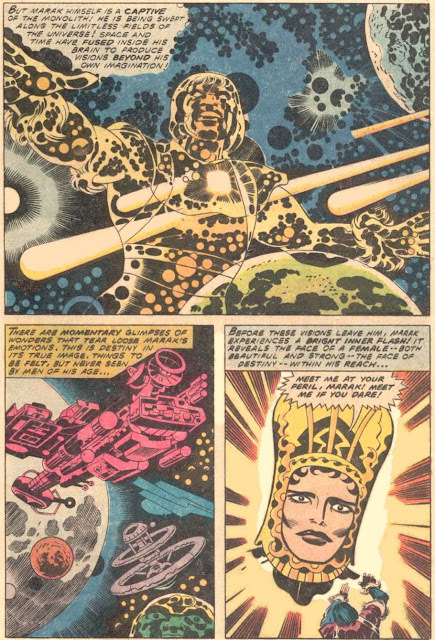 It IS possible to have too much Kirby content! Could you guys move? 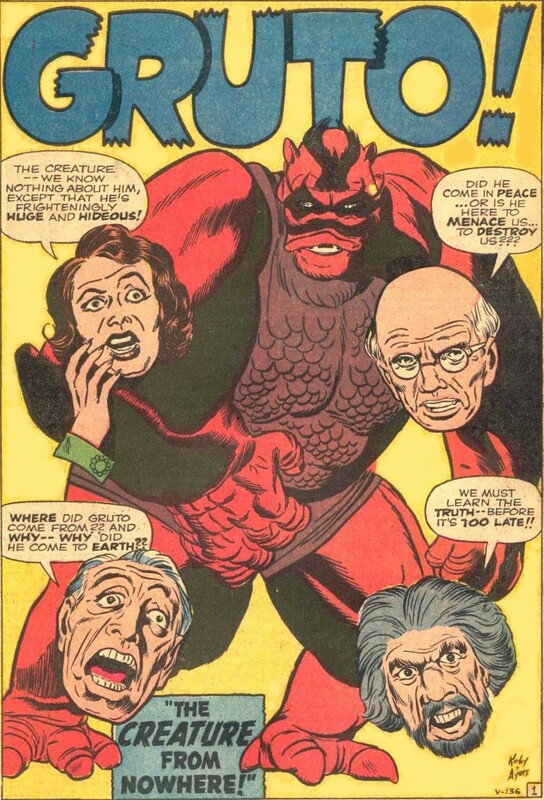 You're blocking the background! 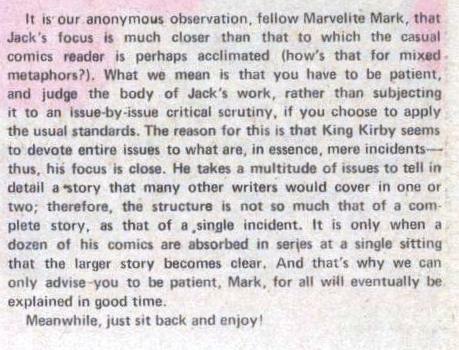 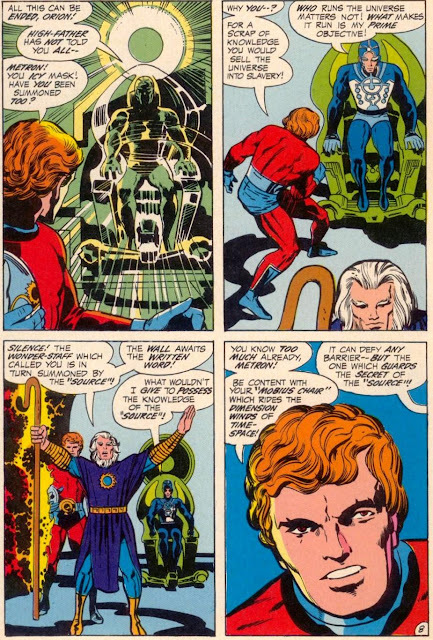 March of 1975 Kirby signed a three year contract with Marvel after DC let him go. Maybe DC didn't appreciate the irony of being surpassed by Marvel in sales AFTER they seduced him away from Marvel 5 years earlier. 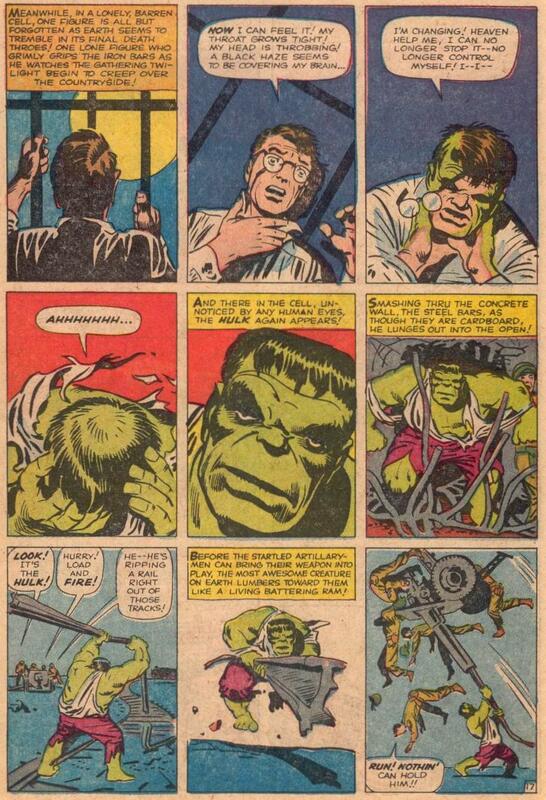 Another example of the Hulk clowning around for the amusement of anyone with 12 cents. 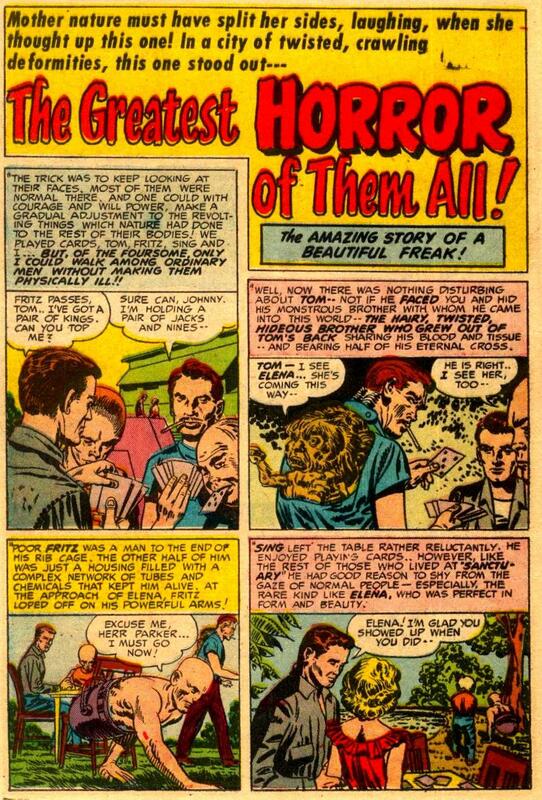 Another thing the King of Comics was known for was finding imaginative ways to restrain the characters that he was paid to depict. 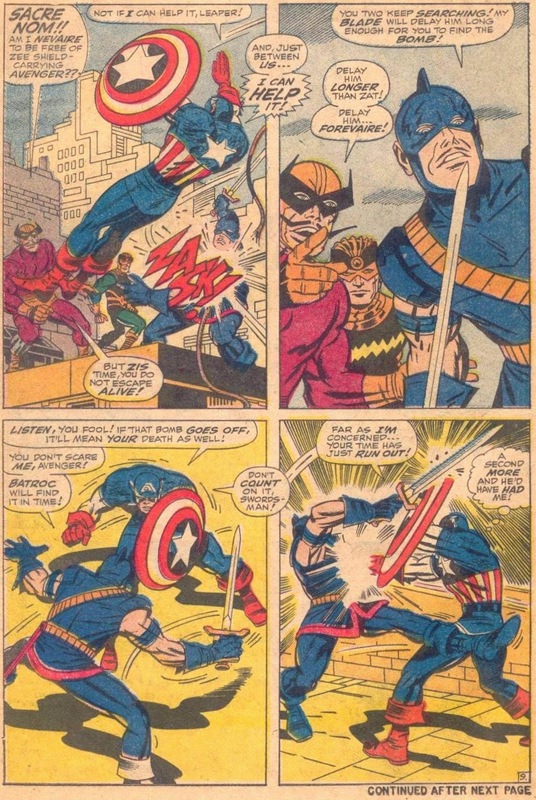 In 1967 Marvel published 188 comics. 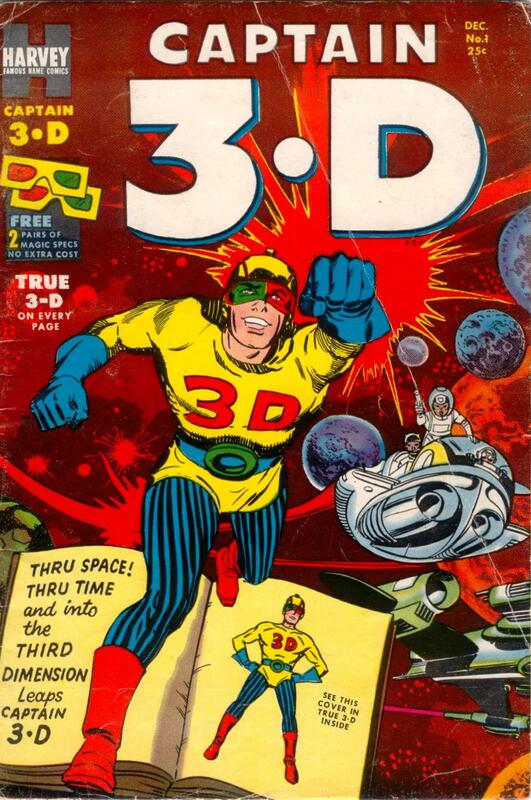 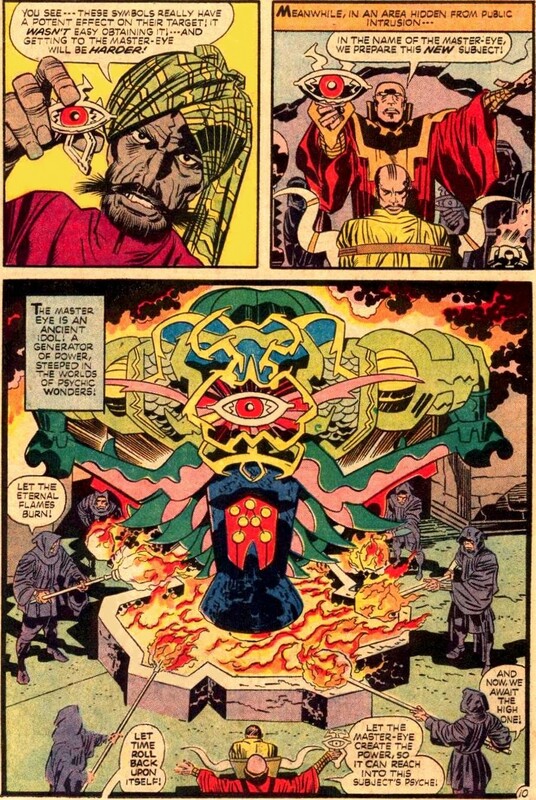 39 had Kirby covers and 37 had interior Kirby art totaling 659 pages. 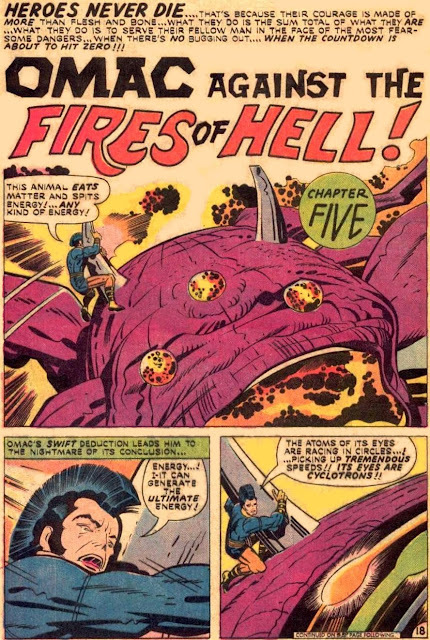 13 reprinted 264 Kirby pages. 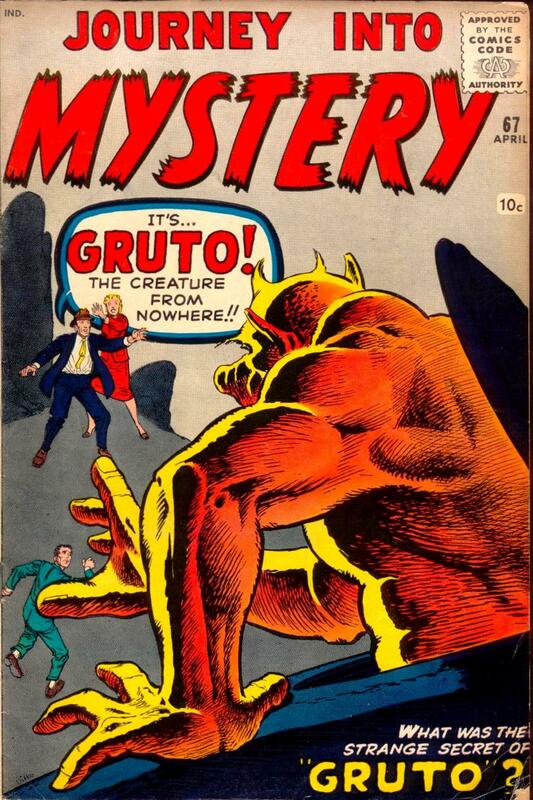 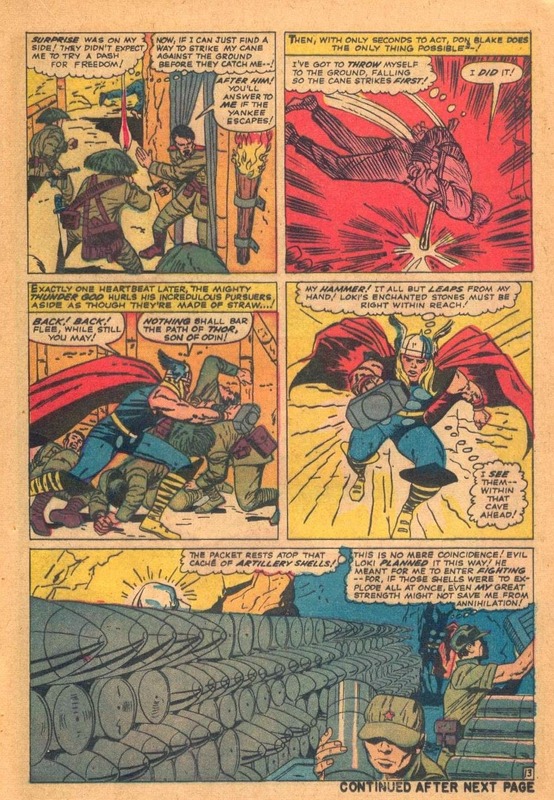 Proto-Marvel published five fantasy anthology titles in January 1961. 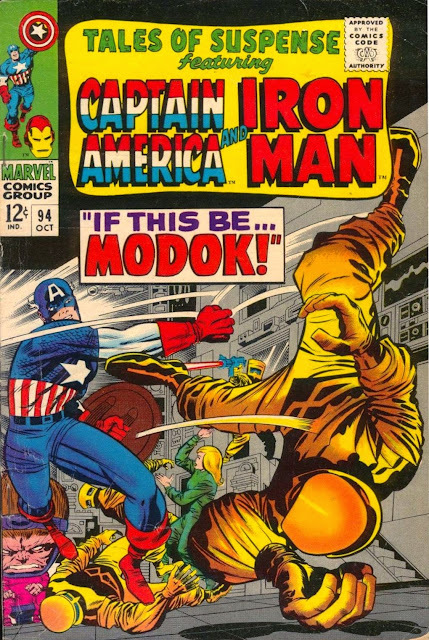 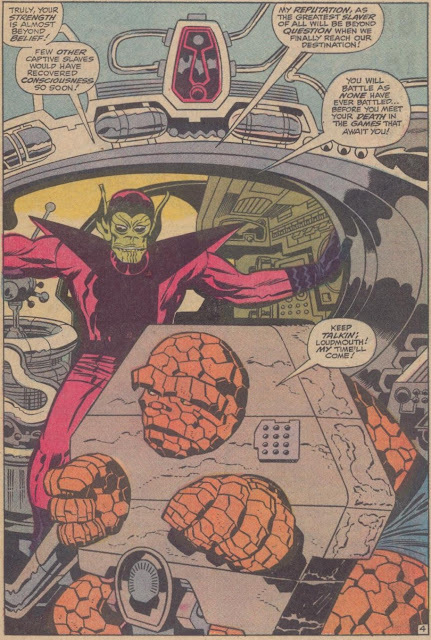 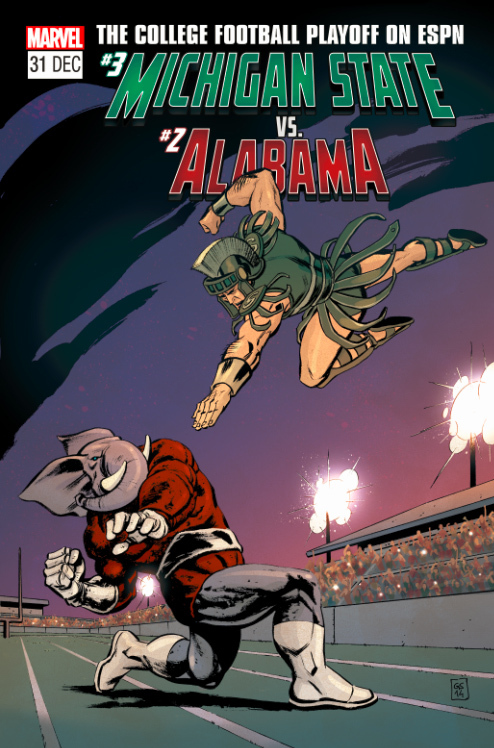 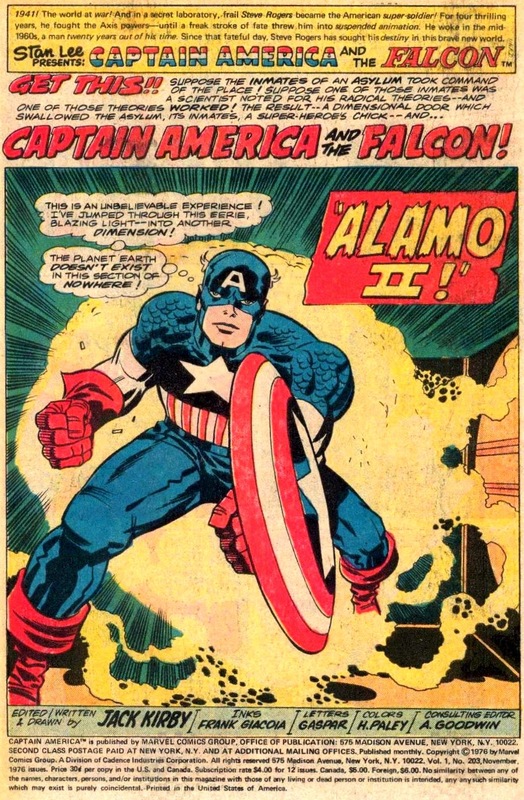 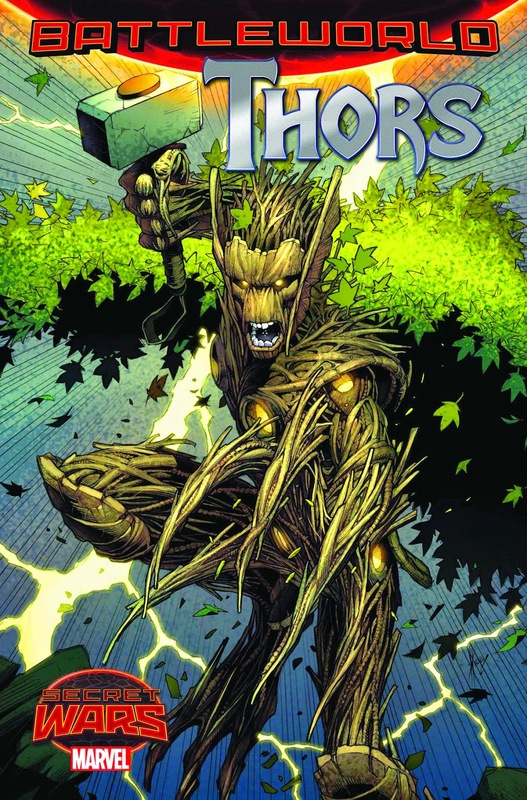 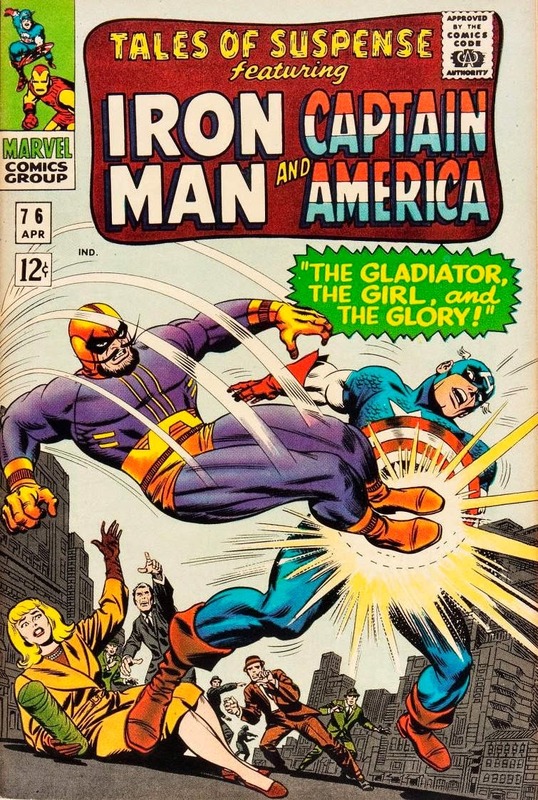 This was the only one that didn't have a Kirby/Ayers cover. In 1962 Marvel published 134 comics. 89 had Kirby covers and 78 also had interior Kirby art totaling 1,167 pages. 1 reprinted 27 Kirby pages. 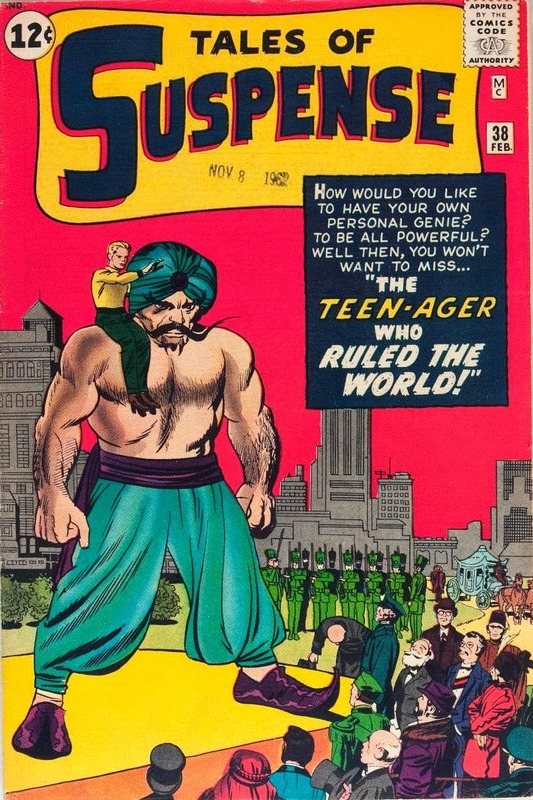 The third consecutive 1962 Kirby-cover-only issue of TALES OF SUSPENSE. 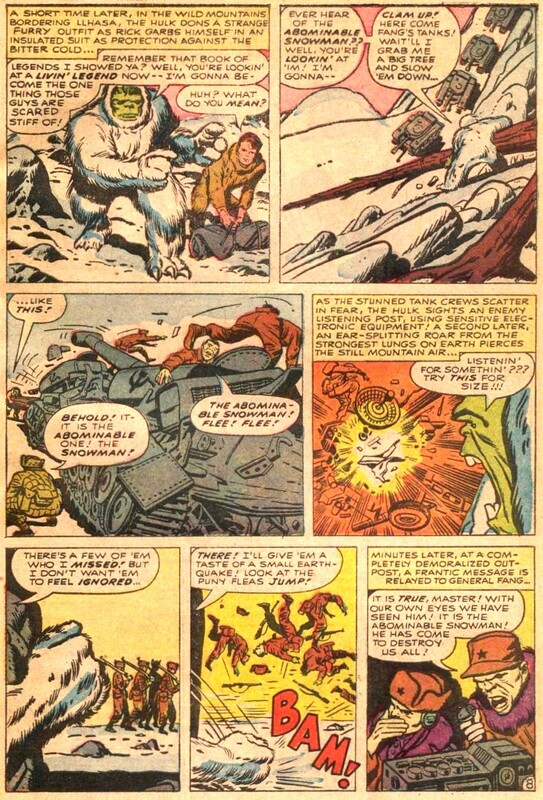 Even the Abominable Snow Hulk couldn't save the Hulk's first series from cancellation! From the final Lee/Kirby issue. 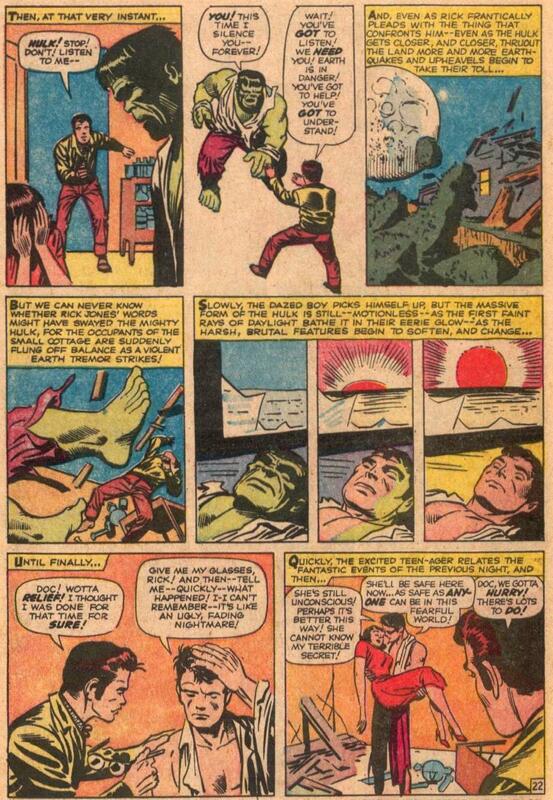 INCREDIBLE HULK #6 was by Lee/Ditko. 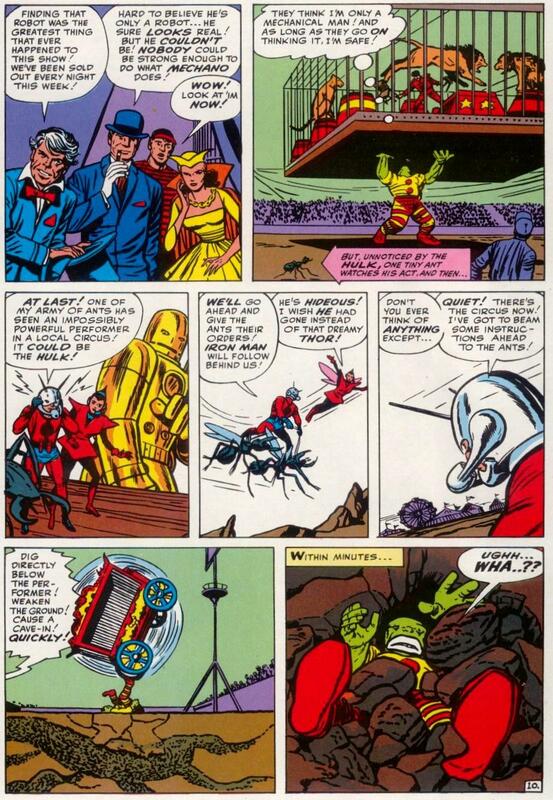 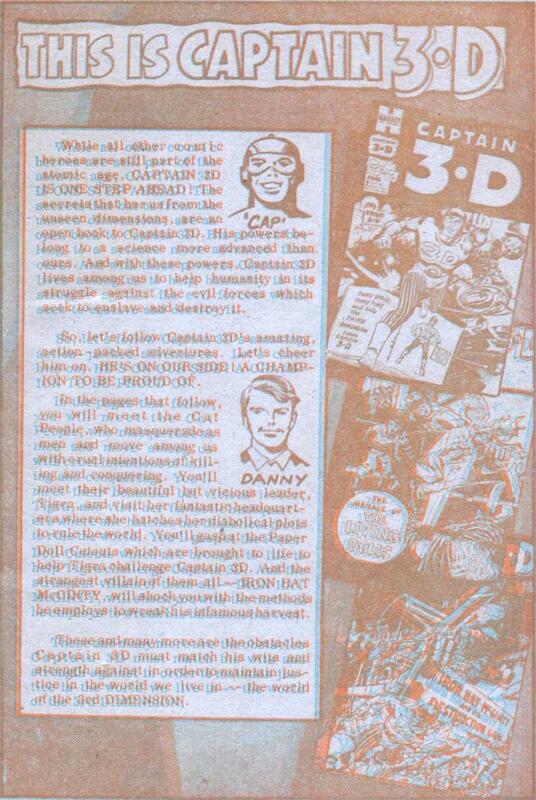 It featured another transformation twist - Banner-headed Hulk! 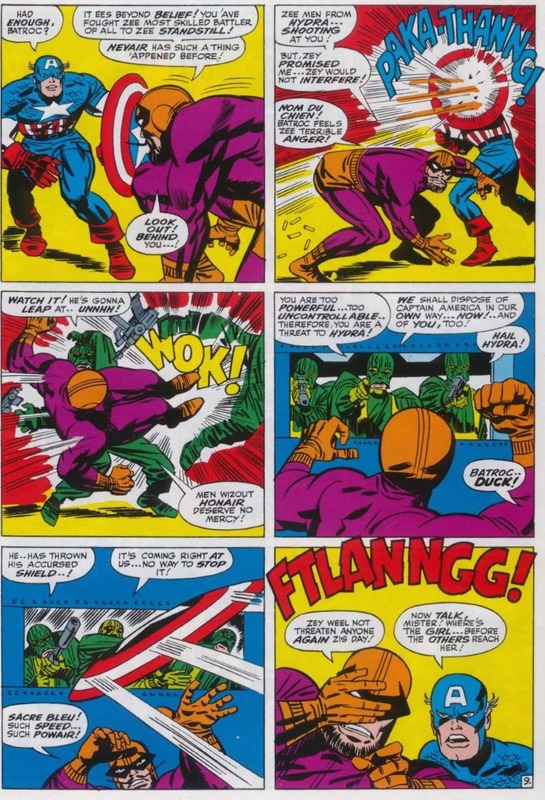 Do you prefer a symmetrical four panel grid or six? 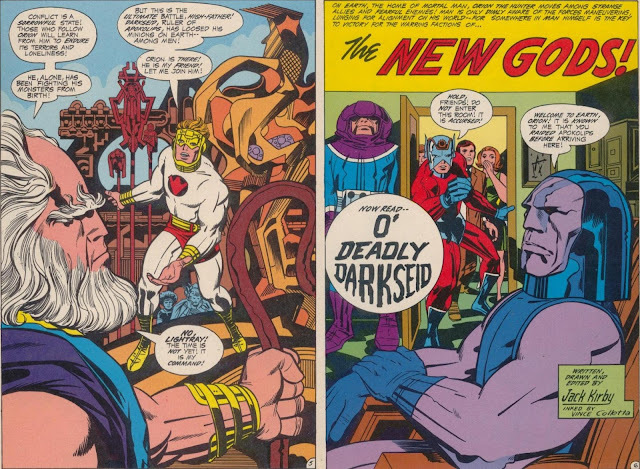 NEW GODS #2 opens with a 3 page diptych followed by a 3-panel page. Kirby followed that up with these two pages. 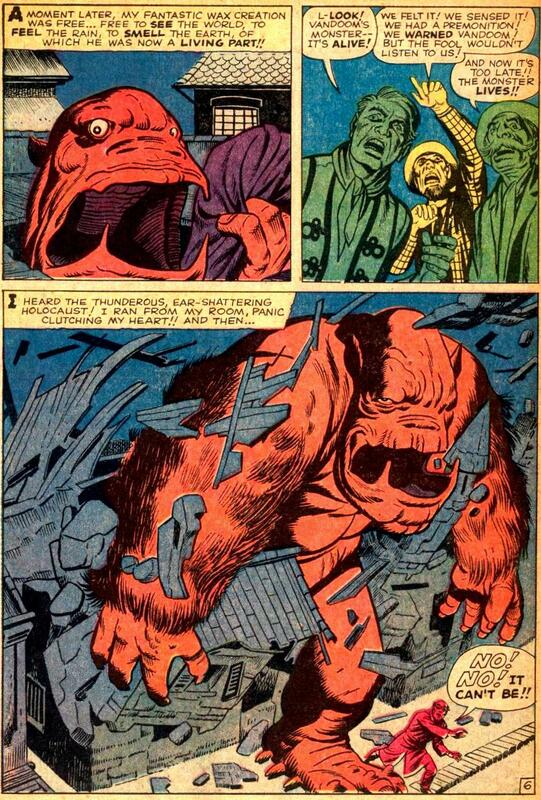 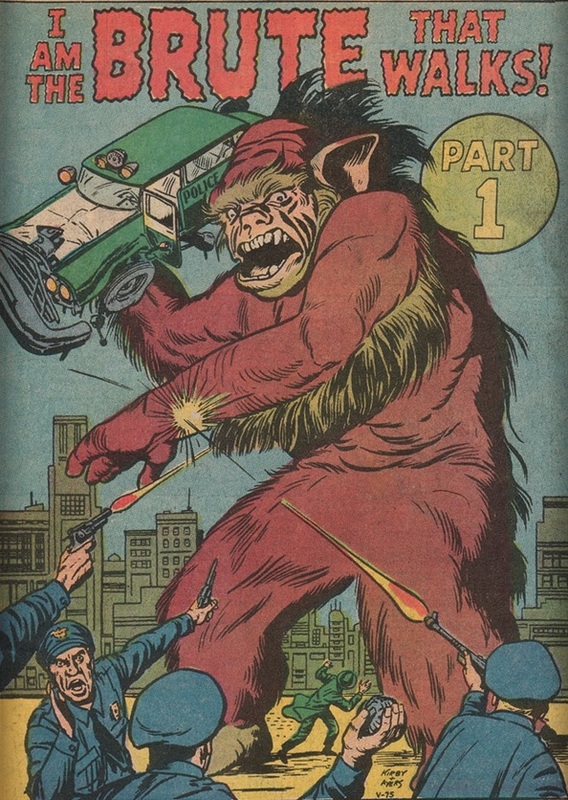 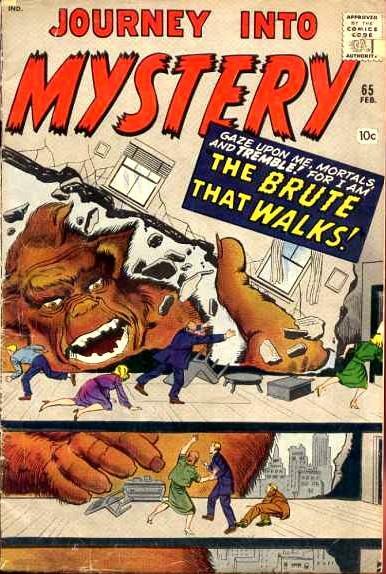 One way a Giant Kirby Monster can establish its creds is by bursting out of a house.